How can we stop the hunting and slaughter of whales and dolphins? Commercial whaling is banned. Yet every year, Japan, Norway and Iceland kill around 1,500 whales. Thousands more dolphins and small whales are slaughtered in bloody hunts in countries around the world. In the Antarctic Ocean, a majestic minke whale comes up for air. As she breaches the surface, an explosive crack sounds, and then a thud as the harpoon slams into her head, penetrating half a metre deep. 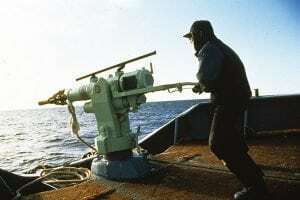 As the defenceless whale tries to pull away, terrified and in agony, the grenade inside the harpoon explodes, blasting shrapnel into her body. If she is lucky, she dies quickly, but often it takes up to an hour or more. This awful scenario is repeated in all the oceans of the world where whales are hunted. It has to stop. Over a thousand whales are killed every year because some people want to make money from selling their meat and body parts. Their oil, blubber and cartilage are used in pharmaceuticals and health supplements. Whale meat is even used in pet food, or served to tourists as a ‘traditional dish’. Exploiting the bodies of whales for money is illegal in most countries, so how can it be allowed to continue? Why can some countries continue whaling? Whaling for profit was banned in 1986. But, reluctant to give up the market for whale meat and products, Japan, Iceland and Norway continue to hunt and kill fin, minke and sei whales every year. 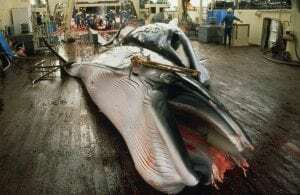 All three nations believe they have a right to hunt whales: Japan claims its objective is scientific research, whilst Norway objects to the ban and Iceland hunts under a dubious ‘reservation’ to the whaling ban. Why are dolphins hunted too? Despite it being illegal in most countries, dolphins (and small whales) are hunted in many places around the world mostly for the same reasons as their larger cousins – people want to eat their meat and utilise their body parts. In Taiji, Japan however, young animals are removed and sold into a life in captivity. 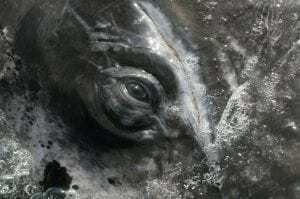 Deliberate hunting of small whales and dolphins is a rapidly accelerating conservation concern for many species and populations, with dolphins and small whales used for food, bait, currency or supposed traditional medicines and charms. Arguably the most notorious and bloody hunts take place in Taiji, Japan and the Faroe islands where dolphins and small whales are driven onto beaches or into coves, before being slaughtered. So controversial is the Taiji hunt and the method of slaughter that the hunters erect a curtain across the shoreline to hide their activities from the public gaze. However, thousands more dolphins and small whales are deliberately and opportunistically hunted in many more countries around the world. Expose the suffering – by supporting WDC, you can help expose and bring an end to the brutal dolphin hunts. Campaign against whaling – wherever governments make decisions about the future of whaling you’ll help us be there to fight for the rights of whales. Reduce demand for whale meat – you can help us inform tourists about the cruel slaughter they are supporting every time they order whale meat while on holiday in a whaling region. Whale watching, not eating – help us work with local communities to encourage whale watching as a kinder and more sustainable way of earning income from the whales in their waters. Cut supply routes – WDC supporters like you helped persuade the EU Parliament to vote in favour of stopping whale meat being moved through EU ports. Laws changed - WDC completed a review of Danish regulations on whale meat imports into Denmark which resulted in changes to Danish law, and rules for import are now much stricter. Rallying support - WDC ran a campaign to call on the EU Parliament to make whaling a deal-breaker in trade negotiations with Japan, and collected almost 270,000 signatures. The petition is now being considered in the final decision on the trade agreement. Online whale meat sales stopped – WDC exposed and stopped illegal online whale meat sales in Japan – including in dog treats! Icelandic tourists shun whale meat – we are telling tourists that they are propping up a dying industry. A decade ago, 40% of tourists sampled whale meat: today, the figure is around 12%. Whales and dolphins continue to be slaughtered. They need your help. Save them by getting involved today. Whaling is devastatingly cruel and completely unnecessary. There is no place for it in the 21st century. We need your help to stamp it out forever. In Iceland Norway and Greenland, tourists eat much of the whale meat, believing they are experiencing local culture. If we can educate holidaymakers we can end the demand. The EU has a Free Trade Agreement with Japan. Together we've been heaping on the pressure to use these talks to get tough on whaling. Ships carrying whale meat to Japan have been docking in EU ports, including the UK. Together, we've been calling for a ban on the transit of whale meat through the EU and we're making progress. We work through the International Whaling Commission, the body that regulates whaling, to keep the ban and expose illegal hunts. Find out more about the countries involved in whaling, how many whales are being killed and how whaling is regulated by the International Whaling Commission. 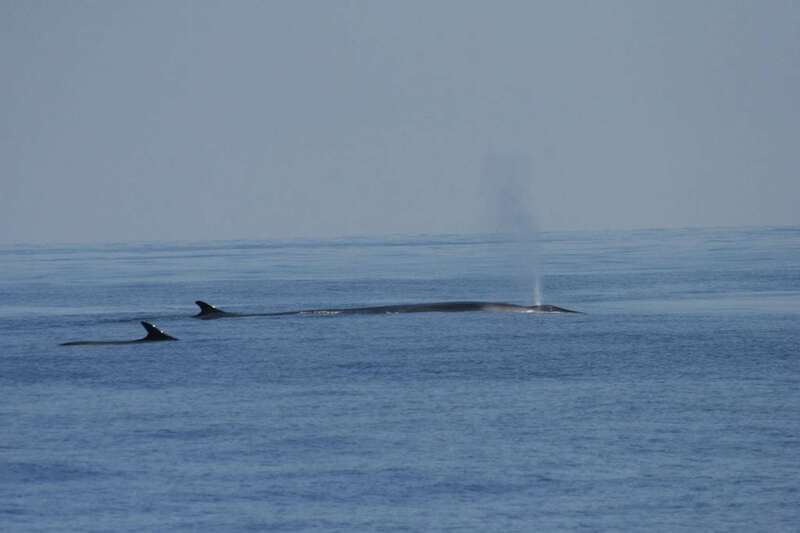 Iceland hunts endangered fin whales and minke whales. Japan continues to hunt whales in the North Pacific and Antarctica. Norway allows hundreds of minke whales to be hunted. Find out how tourists unwittingly support whaling in Greenland. What is Aboriginal Subsistence whaling? Some communities are allowed to hunt small numbers of whales for cultural reasons and to sustain their needs (rather than hunting just for profit). However, this right is increasingly being abused. By adopting a whale or dolphin, by making a kind donation, or by fundraising for WDC, you can help us end the barbaric killing of whales and dolphins. Adopt a whale or dolphin and help us end whaling. Your gifts help us take action to stop the slaughter.